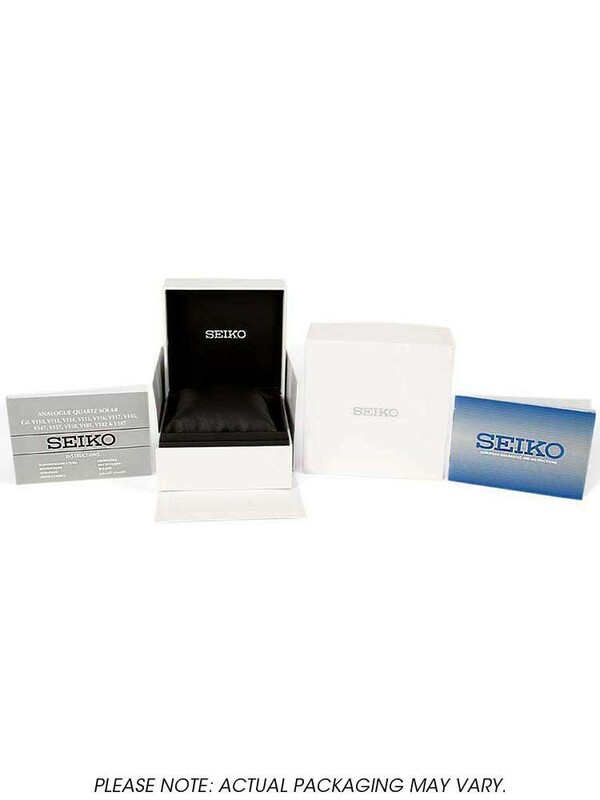 Seiko bring us a suave two tone bracelet watch in this classic style. 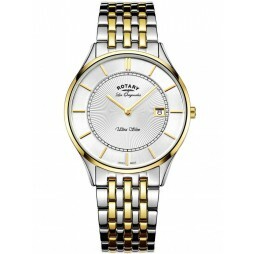 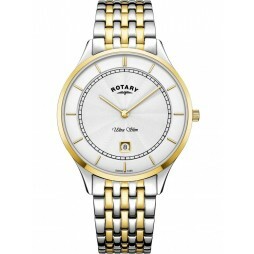 Set in a blend of gold plating and stainless steel, the links and case surround a large round silver dial complete with slim fitting hands, accompanying hour markers and date window. 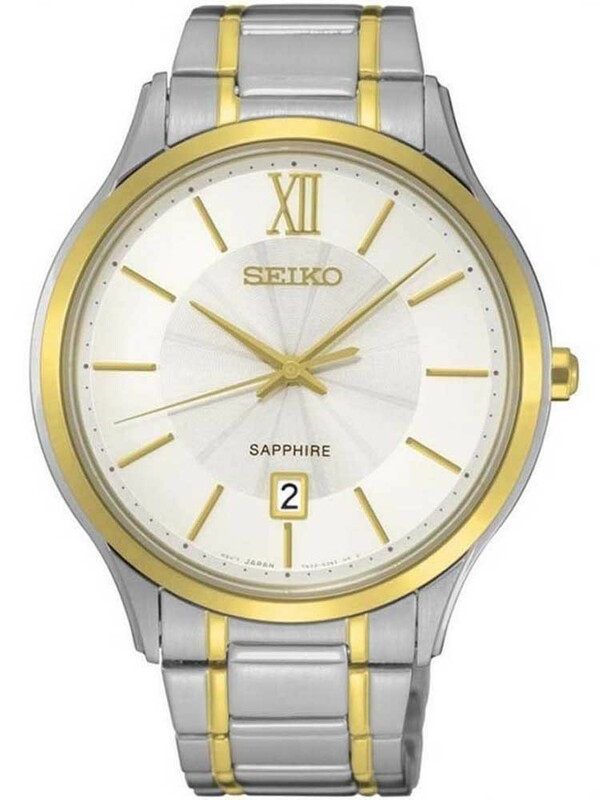 Protecting the entirety of the dial is scratch resistant sapphire crystal glass, allowing a 50 metre water resistance.